For any aspiring entrepreneur not yet fixed on a business idea, online travel industry offers abundance of business opportunities. In fact, with almost 10% year-to-year growth, it is one of the most rapidly growing ecommerce industries. From online travel booking platforms to travel assistant mobile apps, online local guide search engines to online travel QA communities, there are numerous business ideas that aspiring entrepreneurs can capitalize on to begin a successful business journey. We studied the online travel business ecosystem to introduce you with several online travel businesses, their growth, and opportunities for new players in this growing ecommerce sector. Learn all these facts in the infographic below. 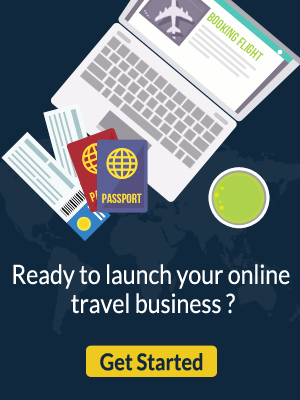 Here are some studies that will offer you highly-detailed insights on setting up a new online travel business. Posted in Tour and Travel Business Ideas, Infographics and Biographics and tagged as Online Travel Industry, Online Travel Industry Growth Stats, Online Travel Industry business ideas, Online Travel Booking by FATbit Chef.